Wendy Bird is the founder of Pearls with Purpose, a social-impact organization which combines micro-enterprising with humanitarian assistance. She is a renowned keynote speaker, certified high-performance coach and has been motivating and inspiring people all over the world since 2002. With over 17 years of international experience, Wendy is gifted with natural charisma and humor. She communicates a universal message of empowerment to audiences all over the world. Speaking straight from the heart on key themes such as leadership, social change, overcoming obstacles and the importance of breaking the cycle of poverty through education and long term self-reliance. She holds the capacity to inspire, encourage, reassure and energize all who hear her speak. 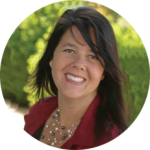 As a Certified High-Performance Coach- Wendy gets to the heart of a client with her vast experience, intuitive questions and deep insights. She has successfully worked with corporate and social businesses, non-profits, academic institutions, community and service organizations. Her phenomenal life experiences combined with her powerful delivery has received overwhelming accolades from her local and international clients, colleagues and fans, time and time again. She has lived a purpose-driven life and through her travels and education has discovered some of the most powerful – and sometimes surprising – leadership/life secrets. Creating businesses in 4 countries, and spoken/worked at conferences in 28 countries and through all 50 United States has given her a unique perspective. Along with her experiences in developing countries, she motivates individuals and leaders to discover their best self by tapping into sustained levels of energy, productivity, clarity, performance and purpose. Her inspiring messages are both deeply personal and exceptionally motivating. 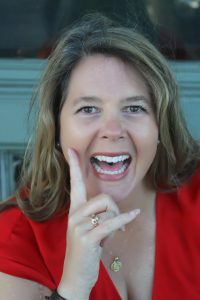 Considered an expert in unconventional approaches to achieving extraordinary results, Wendy will help you unlock your inner-potential and teach you ways to accelerate your growth in both personal and business life.